Woodbridge School's resident International Master Adam Hunt travelled to the West of Ireland this weekend to take part in the three-day Bunratty Masters tournament. The event attracted a strong field of 48 players, which included six Grandmasters and five International Masters. Top seed and eventual winner was GM Nigel Short, who continued his current rich vein of form (he beat Caruana recently at Gibraltar) by winning all six games, including a Round 3 defeat of Adam Hunt. Adam also played GM Lalic, against whom he drew, to finish on 4½/6 and a share of fourth place. 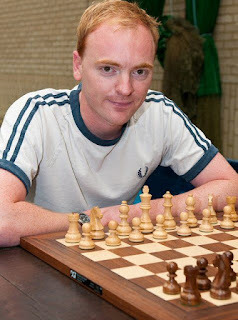 Short's last round win, against IM Alex Lopez, rated 258 points lower than him, was an interesting double-edged affair, which can be seen (for the time being, at least) on the live games page of the Bunratty website.